Posted on Tuesday, June 21st, 2011 at 4:23 pm. Every once in a while, our readers ask us where to find the best Taiwanese food. Well, we don’t have the best answer to that question yet, but today, we offer you the next best thing: Websites and Blogs that explore the finest in Taiwanese cuisine! 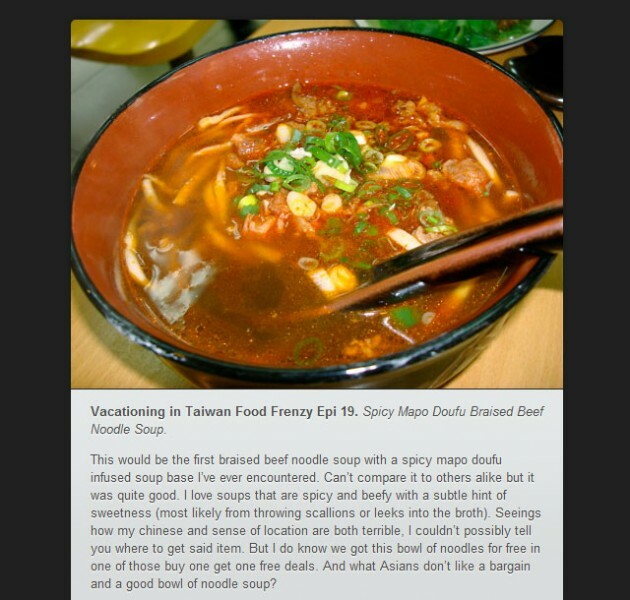 We sent the interns (and our mascot) of TaiwaneseAmerican.org off on a mission to scour the web and find five websites that piqued their interest and taste buds. Here’s what they came back with! Check out some of the website links and decide for yourself. Then, let us know if you have others to add to the list! Welcome to Formosa Prix Fixe, where you will discover the best Taiwanese Cuisine. Our names are Jackie and Vicki, and we will be your servers tonight. We would like to share our expertise in this field with you and to cater to your hunger for Taiwanese food. Ask nearly anyone who has visited Taiwan what they enjoyed there, and they will mention the unique and delicious food that Taiwan has to offer! From convenient roadside stands to elegant restaurants, Taiwan is the epitome of exquisite flavor. Now let us start your journey through your 5 course Taiwanese meal, for we have compiled some delicious food websites that will surely make your stomach growl! Bon Appetite! Interested in travelling around the Los Angeles area to hit some major food stops? Then book a tour with the #1 attraction on Los Angeles Hotlist, Six Taste! The food tours and unforgettable experiences around Taiwanese cuisines, Santa Monica, Thai Town, and much more definitely lives up to its 5/5 rating on Yelp. From parties of 2 to 200, their food tours will offer you only the best food and fine dining Los Angeles has to offer. Check it out! 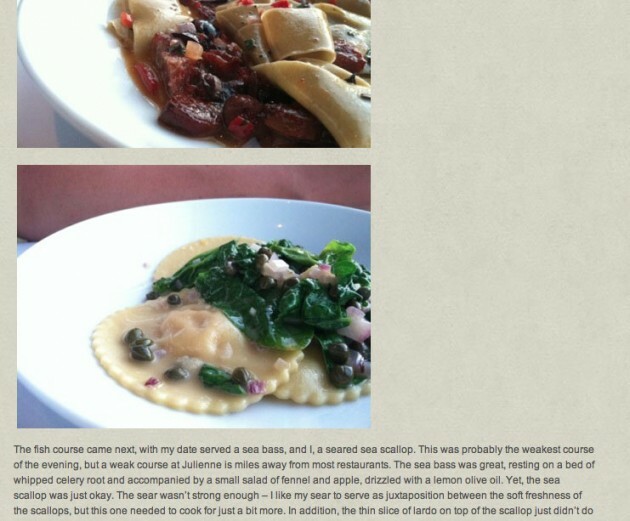 Visit their lively blog to get to know their tour guides, travel stories, and delicious food on the tours! On a time crunch? Well you’re in luck! We would like to present to you this great website that consists of concise recipes, mouth-watering pictures, and featured dishes that you just can’t resist the temptation to cook them yourself. Hot Pot Chicken, Crispy Fried Chops, Taro Rice Cake, Siu Mai…you name it! Topics include: Appetizer, Desserts, Entrees, Street Food, and Breakfast. Tap into your inner chef and cook away! Now onto another choice for you on the menu. Just looking at all the breathtaking pictures of Taiwanese food makes our mouth water. 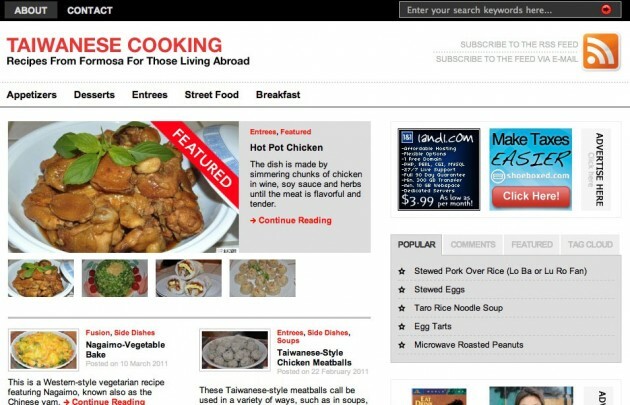 With step-by-step recipes, this website flies you through the makings of Taiwanese meals. Here, you can even shop for special Taiwanese kitchen supplies and cooking books that they highly recommend. 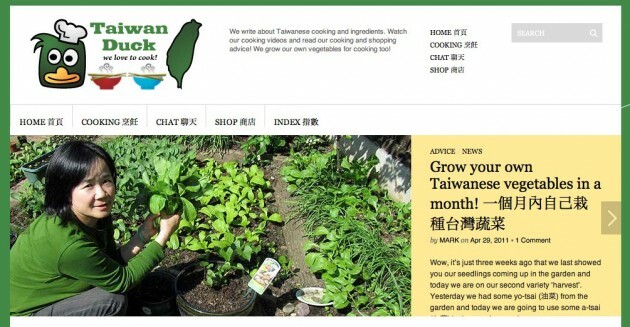 As if that’s not enough to offer, this website even teaches you how to grow your own Taiwanese vegetables. Amazing! Well, we’re going to prepare our garden for some vegetable growing now, so be sure to stop by at this all-in-one website! College student with a passion for food, health, exercise, and art. Having one of those days where you just don’t know what or where to eat? Let us introduce Ffaaiitthhyy, an expert on food, dessert, and drinks. With plenty of experience in Taiwanese food and enlightening feedback on each meal, it’s no wonder this blog is perfect for finding your meal of the day. 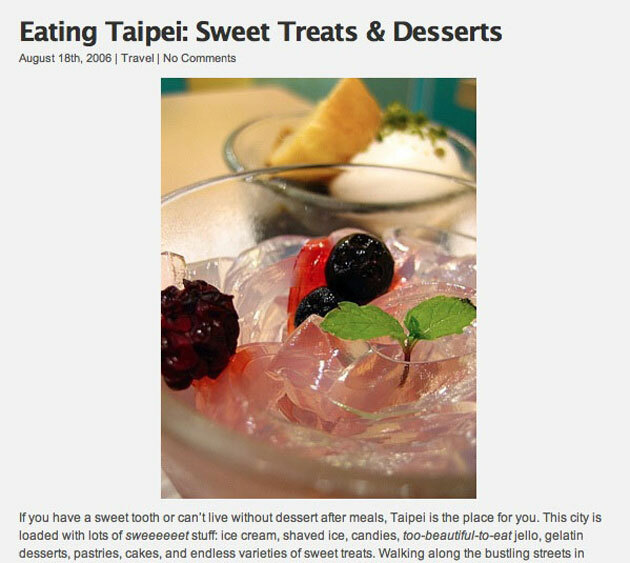 One effortless scroll down this blog will quickly acquaint you with the best of Taiwanese food! Excited for more on the main course? Here is one of the longest-standing blogs about Taiwanese food, this blog is full of in-depth and intimate descriptions of Taiwanese food and its process towards perfection. 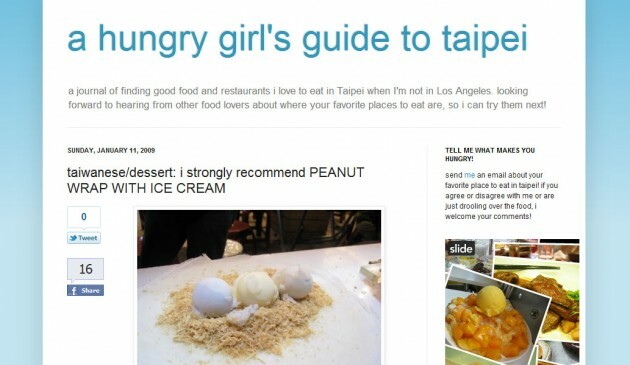 Coming from the root of all the wonderful meals, this guide takes you throughout Taipei’s restaurants with a touch of her personal reviews. Never heard of a Taiwanese Peanut Wrap with Ice Cream? Then come take a look! Well, we hope you have enjoyed your full course meal of Taiwan’s best food on the web, and we hope you see you next time! Please come again! Jackie Hwang is a second year at UC Berkeley studying music and life. In her free time, she loves to work on her Happiness Project, read inspiring literature, write in her journal, and view beautiful natural scenery. She also loves to play piano, compose songs, and dance. Every summer, she returns to fantastic Taiwan to soak in all the Taiwanese culture and language. She’s incredibly happy to be a TaiwaneseAmerican.Org intern this summer! Vicki Hsu is a second year at UC Berkeley planning to major in Business Administration and Art Practice. She was a Co-Fundraising Director for the ITASA 2011 West Coast Conference at UC Berkeley. Vicki comes from the Bay Area, hence her unbelievable NorCal pride! She loves sports such as dragon boat and badminton, and often enjoys her leisure time singing, watching movies, and meeting amazing people. She also continuously embraces her roots by learning more about the culture she grew up in, thus defining her as a proud Taiwanese American. My friend referred me to your site, so I thought I’d read it for myself. Very interesting insights, will be back for more!